I recently bought Wrap Style. There are only like 3 ponchos in the whole thing and the wonderful capelets make up for those awful and ugly afghans for wearing. I especially bought it for this wrap. I am thinking about making a book called Shih Tzu Style and soliciting "Innovative and Inspiring" designs from top designers, all to be modeled by various Shih Tzus, including my Gorgeous Macy Poo Pie. Isn't she sweet? While I was at the AC Moore in Seacaucus the other day, I found that they have not only expanded their yarn selection but also included some knitting magainzes and LYS* quality knitting books. Totally awesome. I came across Creative Knitting November edition. It had some mediocre designs inside, but what caught my eye was that the cover had a Shih Tzu modeling knitwear. That Shih Tzu is WEARING A PONCHO. For crying out loud! Such a waste of a shih tzu modeling opportunity. What follows is some correspondence regarding our next trip to THE OFFICIAL LYS* OF THE TOTALLY KNITTING UNIVERSE. You can see why, other than their passion for and quality of yarn we totally heart Kevin, Elise and their Yarn Shoppe. Even if they discriminate against pets who aren't celebrities. Hello to you! This is Bevin, of Bevin and Brian. You may remember us from such times as we rode the yarn bus with a reporter from the New Yorker magazine and were featured in the Talk of the Town section. I actually just got a Friendster message from a guy I was a Resident Advisor with at UC Davis who I haven't heard from since 1998 who totally recognized my name when he read a back issue of the New Yorker his mom sent him since he's working in Amsterdam for Mattell. Small world, right? Anyway, Brian and I mentioned in the New Yorker article how February was totally going to be sock month. Well. We didn't quite make it. I cast on my first socks in August and loved loved loved the process so much Brian was right on my heels. We are about to post the products of our joyful labor on our blog ( totallyknitting.blogspot.com). As you may be aware, sock knitting is a bit of a cultish type activity because it is so fun. I knitted my first pair out of koigu sock yarn and loved the colors they had to offer. We want to know if you offer that at FF just for our own edification. I'm sure you have lots of other great sock yarns available (I seem to recall Cherry Tree Hill being in stock last time we came up). We are ready to purchase more sock yarn (even though Brian went a little nuts with the Magic Stripes from AC Moore, but I'm trying to get him into real sock fibers). Brian and I are also a little liberal with the monies for such fine sock yarn, since he just got a new job offer from a big firm almost doubling his salary as a librarian and my girlfriend of three years just broke up with me and I need to console myself with consumerism, including knitting to distract myself. Tell me, Kevin or Elise or Both, do you have room on the Yarn Bus (early shift) for two avid sock knitters on Saturday, October 22, 2005, returning on either afternoon return trip busses, preferably the earlier. We are also free on Sunday, October 23, 2005 but prefer Saturday so that Sunday can be Sock Day. You see what I'm saying. Hope you are all doing well and work on the new storefront is progressing smoothly so that you can expand your yarn offerings even more. We are waiting with baited breath for the Grand Opening. P.S. We got your email about the Martha feature of the Yarn Bus too late to DVR it. Do you have a tape of the episode available along with a tv and vcr at the shop so we can watch it when we get there, or, as an alternative, do you know when it will be rebroadcast? Actually, I remember you as Bevin of totally knitting universe where so many people have been turned on to Flying Fingers Yarn Shop--thank you very much. Of course, we have room for you two on the Oct 22 bus. Are we picking up in the usual not Union Sq almost Chelsea location? All the prospects for wonton consumer spending are as thrilling for me as they are for you! I believe I'd prefer "wanton spending" not "wonton spending" since we don't accept food as legal tender. Geez! I am so glad that you received our request and can accommodate us on the Yarn Bus. I did, of course, mean the almost Union Square but mostly Chelsea stop (and still plug that there be a 33rd street stop near the PATH station). I am disappointed about the wonton spending. I was hoping to knit up some wontons using knitty's pattern (http://www.knitty.com/ISSUEspring03/PATTdimsum.html ). Do you and Elise have a cat? Also, speaking of patterns. This may be a long shot but I was wondering if an 11 pound Shih Tzu would ever be invited into the hallowed halls of Flying Fingers and on the Yarn Bus? She does not eat yarn and doesn't pee inside. Not this time around but some other time I want to film my audition tape for the Martha Stewart Apprentice show and am thinking about trying out in tandem with my dog. Oprah is the highest powered woman in the whole world and brings her cocker spaniels everywhere she goes. Plus I think Macy would really dig Irvington on Hudson. 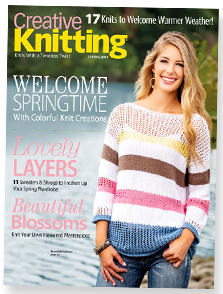 I am also glad to see that people are patronizing the Official LYS of the Totally Knitting Universe. They know good taste. And the skull crochet was hard to see. Perhaps you have this item in person that you could show us when we get there? I can pass the pattern to my friend Jackie and demand she crochet it for me. That's a tough one. We do occasionally allow dogs in the shop--when it's not too busy and with the caveat they must leave if any human complains--people have allergies, fear (justified or not), kids, their own dog that doesn't want to get along, etc. However, its tough to kick a pet and their owner off the bus, so we have to say no. Sorry. (Yes, we would allow Oprah's and it's not fair...) Thanks for understanding (hopefully). Poor Macy. She will never know the joys and mysteries of the Yarn Bus. Still, we will think of her as we ride and send her our positive energy or whatever. Bevin-- sorry to hear about the breakup. Did you ever hear back from Knitty concerning the calendar contest? And yay for sock knitting! I hope to be starting another pair sometime soon. I feel slightly starstruck to have been mentioned in your LYS emails, and consequently, this blog. Can I be the official non-hated-on crocheter of Bevin and Brian's Totally Knitting Universe? I'm still totally jealous of your yarn bus. Despite my emerald green envy, I will offer to crochet a poncho for Macy, should you ever do the calendar. I know you two just won't do it, and I think Macy will suffer emotional trauma if deprived of the chance to wear a crocheted doggie poncho.